A Lamp in a dark Place. Kirken i Estland før 1992, nu og i fremtiden. Living in the Age of the Spirit (1) "Christ our Law"
Living in the Age of the Spirit (1) "Justification by Falth Re-Examined: What Does the New Testament Say?" Living in the Age of the Spirit (2) "Justification by Falth: In the Historical New Testament Setting"
Living in the Age of the Spirit (2) "Justification by Falth Re-Examined: The Reformation and the Apostles"
Living in the Age of the Spirit (3) "The Parable of the Two Brothers"
Living in the Age of the Spirit (3) "Justification by Falth Alone: Independence Day Has Come"
Hvad er forskellen på det helliggjorte og det velopdragne barn? De kristne i Jerusalem - de kristnes historie i det Hellige Land. Traditionel ethiopisk eksegese af Salmernes Bog. Teologkonference. (9) I Helligåndens kraftfeldt. En kritisk vurdering af Bultmanns mytologi. 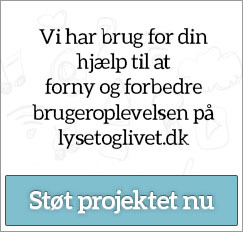 En analyse og vurdering af Løgstrups metafysik. Gives der en historisk åbenbaring? indspil fra Luther og Kierkegaard. Christianity and Culture. (1) The Problem. Christianity and Culture. (2) What does "Culture" mean? Christianity and Culture. (3) Culture and the Gospel. Christianity and Culture. (4) Culture and the Church. Christianity and Culture. (5) Culture and Christian Ethics. Scripture alone - at the time of the reformation and today & Spots: Who can translate the Bible? Faith - Justification. Sin (john.16,9) - imul peccator et justus. World Justification. Lutheran hermeneutics - with special reference to the relationship between the Old and New Testament. Justification by faith alone - at the time of the reformation and today. Trends and burning issuues in theology and church life in the USA today. Scripture: God´s word & God´s Power. Indre Missions kirke- og embedssyn.